In her booklet notes, Leila Schayegh, who currently teaches Baroque violin at the Schola Cantorum Basiliensis, comments on how Leclair - an outstanding violinist himself - was in thrall to the Italian instrumental style but was concerned that his music should not be played too fast; he was praised for his netteté, a combination of impeccable technique and musical perfection. 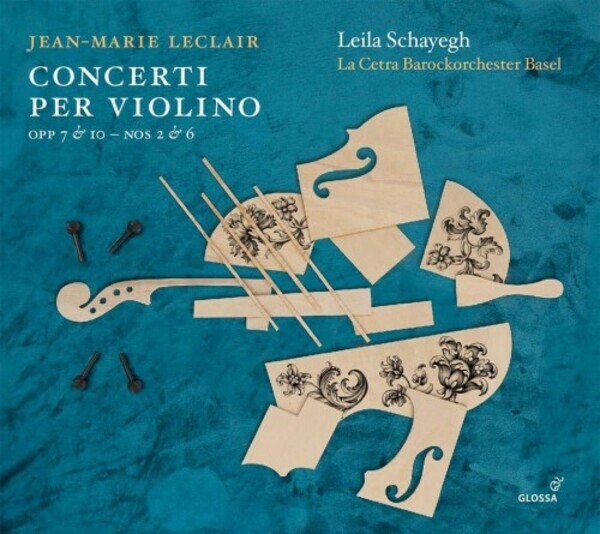 This first volume in Schayegh’s projected series of recordings of the Leclair violin concertos embraces the Nos 2 and 6 works from the two six-concerto series of Opp. 7 and 10. The G minor Concerto, op.10 no.6, is frequently cited as being the highpoint of Leclair’s output. For this dazzling new exhibition of the Swiss violinist’s art, Schayegh – who plays a late-seventeenth-century Andrea Guarneri instrument – directs Basel’s La Cetra Barockorchester, which features Eva Saladin as its Konzertmeisterin and Sonoko Asabuki as a further principal violinist (Leclair’s concertos often called for up to three soloists).